Despite pretty confident statements coming from Samsung's DJ Koj earlier this week, it appears that the company's new flagships, the Galaxy S9 and S9+ haven't been received with too much enthusiasm in some markets. South Korea is one of Samsung's most important markets and, usually, when a product is popular on its home turf, it ends up being successful in many other major markets. Unfortunately, it's not the case with the Galaxy S9 and S9+, at least not yet. According to industry watchers cited by SamMobile, Galaxy S9 pre-orders in South Korea fall short of Samsung's expectations in the first six hours after they opened to customers. 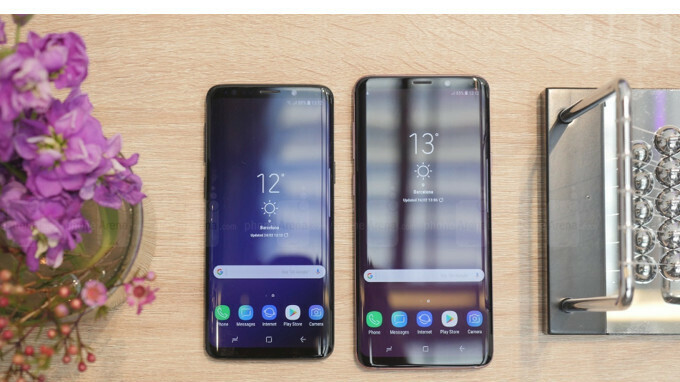 Apparently, many customers ask about Samsung's new flagships, but pre-orders are “a tad smaller” than last year, a rep of a local carrier was quoted saying. Although it's too early to draw any conclusions, information coming from South Korea through various channels point to a lower number of pre-orders for both Samsung's flagships when compared with last year's Galaxy S8 and S8+. Still, Galaxy S9/S9+ pre-orders could pick up in the coming days, as Samsung is now greasing those big gears of its marketing machine. Things can definitely improve down the line, so we'll keep an eye out on how things go for Samsung's new flagships. Let they be punished for the high prices. I'd rather buy a midranger like Nokia, Motorola or even Xiaomi. The galaxy s9 is a big failure, the exynos variant has performed really badly in some benchmarks and the there isnt a lot of upgrades from the s8, dual aperture is the biggest upgrade but theres no other upgrade to the camera besides that, stereo speakers is the next big upgrade but theyre not that great.. and the third upgrade is the new front camera animations and all that other stuff, is it worth to spend the extra money on the galaxy s9? Hell no its not but if youre a rich person you might as well buy it since its still slightly better than the s8 and price wont matter to you. The best phones this year in my opinion are gonna be the htc u12, oneplus 6, asus zenfone 5z, xioami mi7 and mi mix 2. Maybe lg g7 and v35 too, and of course the king of phablets the galaxy note 9! The nokia 8 sirroco is also a failure for several reasons, the design is amazing and it has an oled display but the price is high, it has last years processor and is very uncomfortable to use! The xperia xz2 is over 11mm thick and the battery isnt even big and it has an lcd display and 4gb of ram, sure it is a great phone but theres a lot of competition this year and htc has a chance to bounce back. They are buying iPhone X "In Q4 2017 last year, the quarter in which the iPhone X went on sale, Apple’s market share was up 3.3% to 28.3%, while Samsung was down a staggering 9% to record less than half the South Korean market, just 46.0%." They did big mistake by having same design. There's less and less reasons for anyone to upgrade phones and design is one of the biggest. Samsung would have needed phone like iPhone X, something completely different next to their S9, just like Apple did by offering three phones. At least both Samsung and Sony don't have a "trendy" notch. Apple had the same ugly design for years. It's about time they changed it. Samsung's design is beautiful and it's not what I would a old design, so why change it this early. Apple is for ppl that like to spend more and get less. No, people who want to over pay to be a part of a cult buy Apple. It's only about the name for them, not the features. A very worrying trend, given how aggresively Samsung priced these devices and simply how good they seem. But the S8 series is still an amazing phone and more than enough for the vast majority of people - hell, even the S7 and like the S6 will keep everyone who doesn't do VR or high end games happy: both still have perfectly usable cameras for FB and Instagram posts. many don't like the price increase, Samsung. don't be like Apple, first you differentiate the small and big brothers, and then price. price increase is fine if the changes are big, S9s look exactly like S8. it surely won't past S8 in term of sales. Note 10 for sure for me. Note 9 is a possibility. The Note 8 is too damn good, to give up right now. I can't see myself parting with it, and that heavenly S-Pen. Because I can fool, now get lost puppy. You ordered an awesome phone. I would agree with a lot of your comments. The Pixel 2 has a great camera but doesn't have the greatest HW package. However, they do get more frequent SW updates than the Samsung phones. If I could change one thing about Samsung phones, it would be on the SW side. Pixel SW + S9 HW = awesomeness! When you do get your S9+, try out Samsung Pay. To this day, I still get people who are amazed by it. I'm upgrading my regular S7 this year. Until the Unpacked event I was considering taking the S9+ but now I'm planning to get the Note8.